A vote in the General Assembly last week could complicate Virginia’s participation in a regional cap-and-trade program stretching from Maryland to Maine. 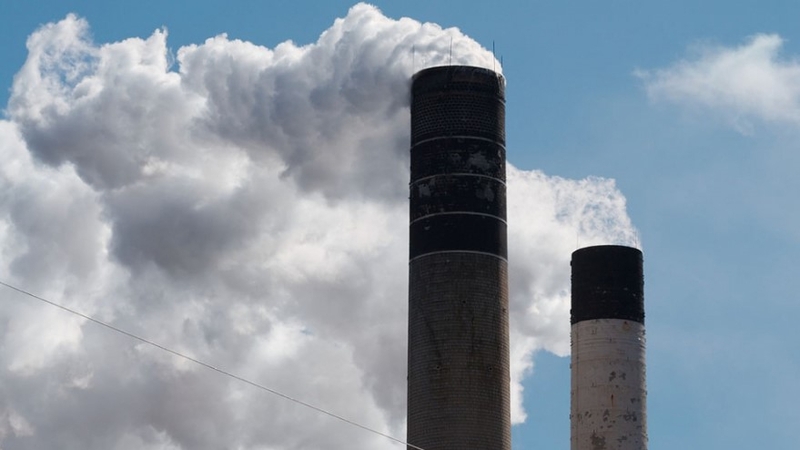 It comes as the State Air Pollution Control Board for Virginia is set to consider joining the Regional Greenhouse Gas Initiative (RGGI) in a vote on April 19. Republican lawmakers have resisted efforts by former Governor Terry McAuliffe and current Governor Ralph Northam to join RGGI without approval from the legislature. Last week, they rejected two budget amendments from the governor that would have mitigated the legislative branch’s role in the pact. Del. Charles Poindexter (R-Glade Hill) accused the governor of “going around the system” to implement climate agreements. Republicans included language in this year’s budget amendments that would prevent Virginia from joining the program unless it gets approval from the General Assembly first. Another section of the proposed budget requires that funds from the pact and another program go into the state’s general fund rather than automatically being placed into clean energy and conservation programs. RGGI places limits on the emissions from power plants that increase over time. Polluters can pay to exceed their limits. That funding is then routed into clean energy and conservation programs. Corrina Beall, legislative director of the Virginia Chapter of the Sierra Club, says Northam has a straightforward path toward a line-item veto of the first item, which she said would undermine progress on climate change. “It would stop years of work towards our first action, and our most significant action to date on climate change in Virginia,” Beall said. But it's less clear what Northam can do to address the second GOP change dealing with revenues from the program because it’s embedded in broader budget items dealing with general fund revenue. The powers of line item vetoes have been the subject of litigation and back-and-forth between the legislative and executive branches, most recently in a 2017 fight over Medicaid expansion. A spokeswoman for the governor did not respond to questions for this story. Beall says the inclusion of GOP spending-related language wasn’t fatal to Virginia’s involvement in the pact, which she expects the air board to approve next week. But she said, it would distinguish the state from other participants. “Other states use these credits to invest in clean energy, to invest in energy efficiency improvements, and otherwise increase the impact that this can have on our environment,” she said. William Shobe, director of the Center for Economic and Policy Studies at the University of Virginia, said those programs also reduced costs for ratepayers. “They balance the increase in cost due to controlling CO2 emissions with decreases in costs from shaving costs during the coldest winter days and hottest summer days,” Shobe says. In January, a representative estimate from Virginia’s State Corporation Commission told lawmakers RGGI could drive up rates $7 to $12 a month for the average ratepayer. That claim has been disputed by Shobe and other environmental activists as well as the state Department of Environmental Quality.